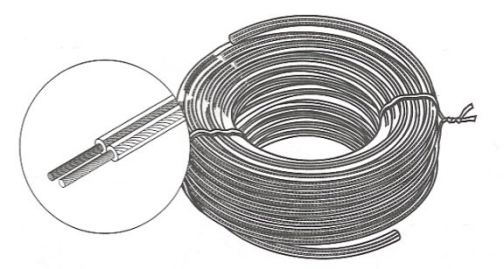 Coiled, Tied Standard Application Speaker Wire. 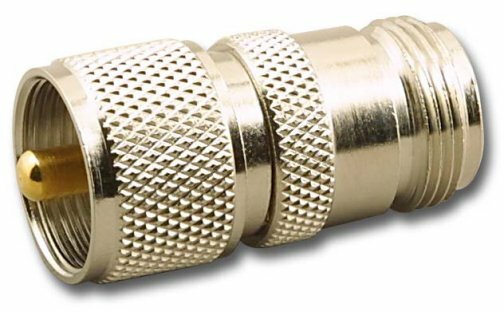 Good Performance and Sound Quality for Most Speaker and Audio Equipment Connections. 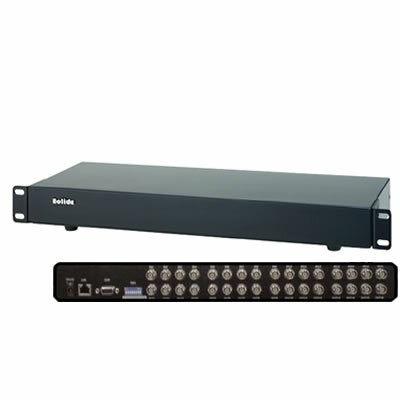 Delivers fine quality sound in long runs. 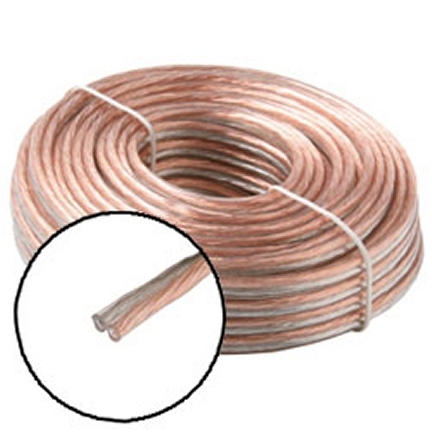 Parallel Conductors, Polarized Bare Copper-Tinned 99.99% Pure Oxygen-Free Copper Conductors. Clear Flexible PVC Jacket. Black Plastic Spool.